Angel, Won't You Come Down? Her music speaks for itself, effortlessly proving to be truly deserving of the listener's full attention. Bonham sings with a maturity and clarity reminiscent of songwriters like Joni Mitchell and Shawn Colvin..."
Tracy's lyrical evaluations of the world and its turnings are interestingly phrased and melodically framed, revealing a song craft that can easily capture your ears"
...a full-service indie-pop singer-songwriter who knows exactly what she is about"
Tracy has one of the best female rock voices I've heard in a long time"
A native of Eugene, Oregon, Tracy Bonham began singing at age 5, playing the violin at 9 and piano at age 14. After transferring to Berklee College of Music to study voice, leaving her full violin scholarship at the University of Southern California behind, she began to write her own songs on the guitar. Since then Tracy has released three solo albums, received two Grammy nominations, an MTV Video Music Award nomination and has performed on albums with some of the best musicians in the business. 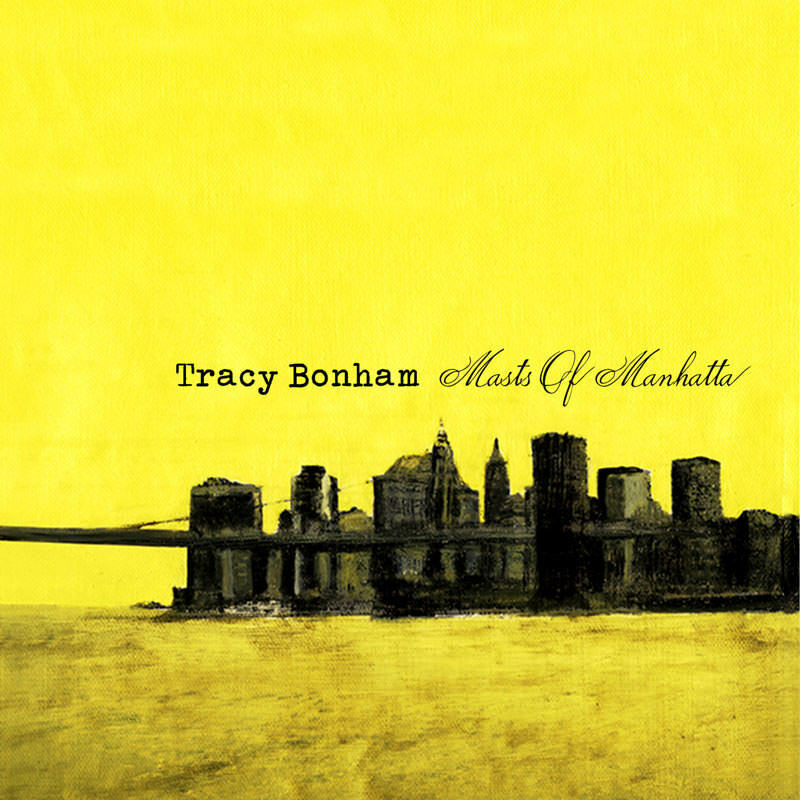 Tracy's latest album, entitled Masts Of Manhatta, will be released on the 13th of July. It was produced by Tracy and mixed by Tchad Blake (Pearl Jam, Elvis Costello, Tom Waits) and features the guitar work of Smokey Hormel (Beck, Johnny Cash, Neil Diamond). Masts Of Manhatta is Tracy's fourth solo album; her first full-length release in five years. Tracy's mainstream breakout hit - "Mother Mother" - went to Number 1 in the US Billboard charts in 1996 and has since been covered by numerous artists including The Veronicas. In addition to her four solo albums and two EPs, Tracy has performed on albums by Aerosmith, Mandy Moore, Blue Man Group, Wayfaring Strangers, Latin Playboys, Ron Sexsmith, Eels and Juliana Hatfield. Tracy has performed live with the likes of Jimmy Page & Robert Plant, Dan Wilson, The Wallflowers and Bonnie Raitt. She has also written songs with Carole King, Michelle Lewis, Mike Viola (Candy Butchers), Jez Ashurst (Farrah), Miles Zuniga (Fastball), Marc Copely, Mandy Moore and Garrison Starr. Her music has appeared in various film and TV programs, including The L Word, What About Brian, Brothers & Sisters and Rockstar: Supernova. TV appearances include The Tonight show with Conan O'Brien, The Late Late Show with Craig Ferguson and A&E's Breakfast For The Arts. She has two Grammy nominations to her credit, in addition to an MTV Video Music Award nomination.